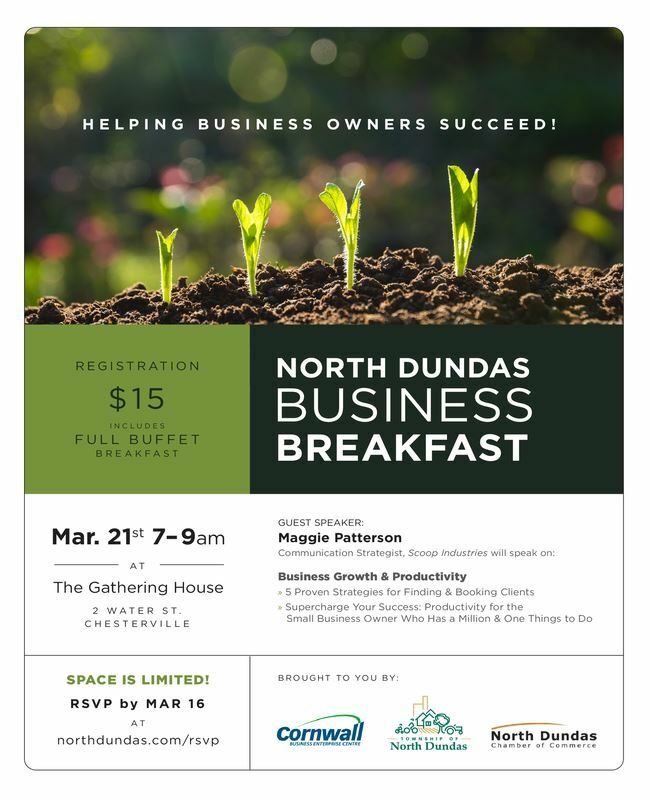 North Dundas Chamber of Commerce - North Dundas Business Breakfast – Helping Business Owners Succeed! North Dundas Business Breakfast – Helping Business Owners Succeed! The North Dundas Chamber of Commerce will be covering the breakfast registration fee for its members.